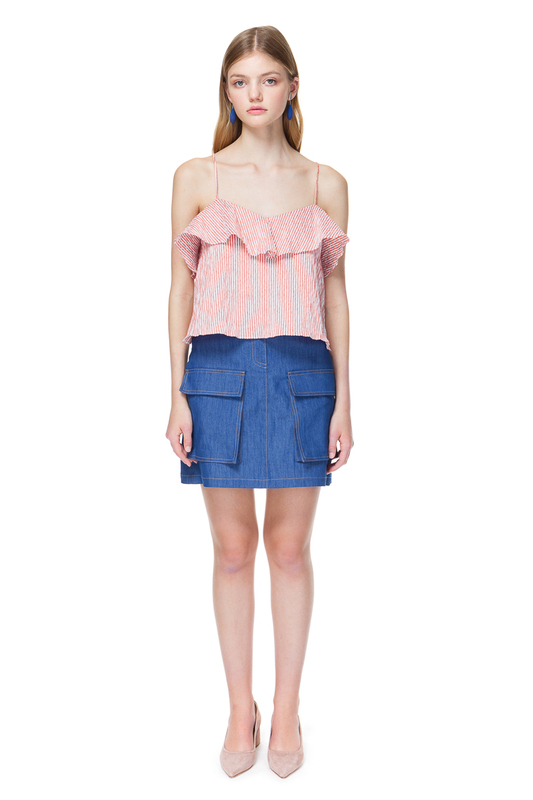 Camisole top from a wrinkle-resistant cotton blend with a voluminous ruffle. 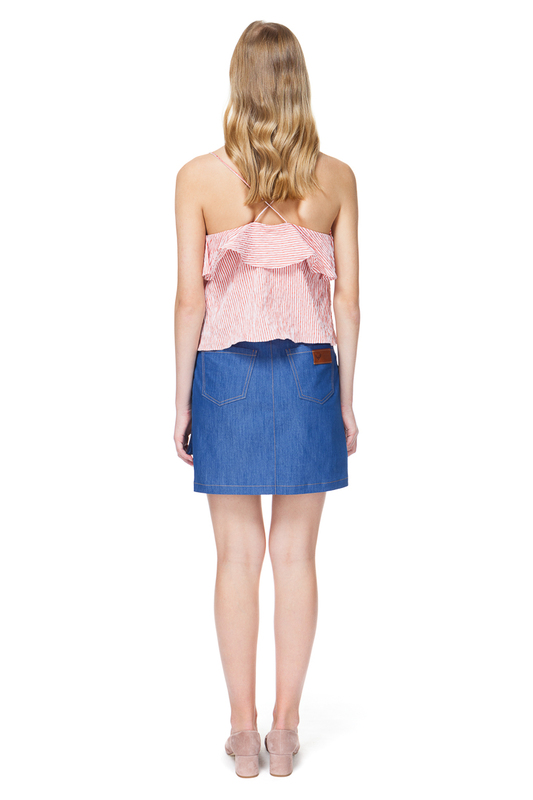 Cut from crispy fabric in burnt orange stripe, this crop top looks its best when worn with high-waisted pants or skirts. Extra slim straps and a slightly oversized silhouette add a beachy feel. Style yours with comfortable sandals or layer over a white tee to create a cool city look.